You know the look of shock. That appreciative nod with a little touch of awe that accompanies your visitors’ reactions when first visiting Goshen. Of course, Goshen has always been cool. Even without the artisan shops and farm-to-table restaurants, Goshen’s real charm has always really resided in the soul of its population. People here are uncommonly willing to be kind to their neighbors, help those who need it, and create innovate ways to improve the general standard of living for all. As word of our city’s “coolness” has spread over the years, more and more people are looking to visit and move to Goshen. The surge in interest has attracted developers too. 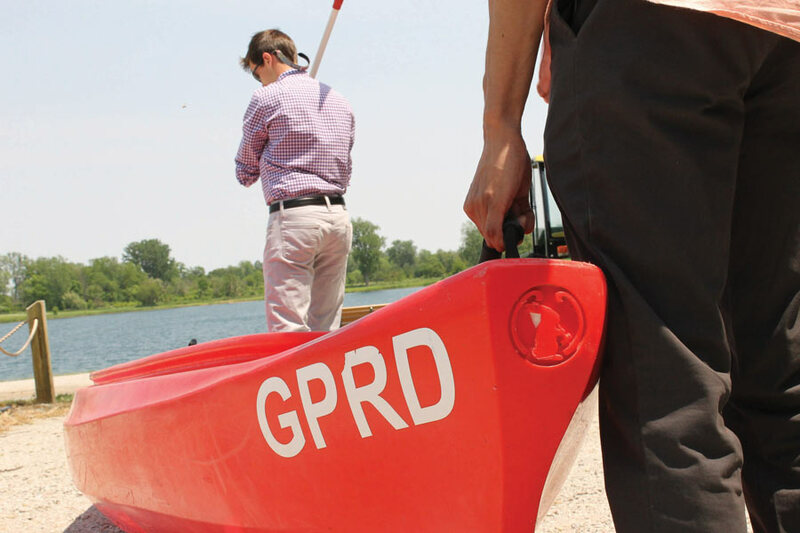 Goshen is on track to add at least six new residential and commercial developments within the year. The residential projects range in size and value, providing housing for people of all socioeconomic levels and interests. As far as the commercial developments, you can also look forward to a few hip, new hotels where visitors can vacation or –– why not? –– residents can stay-cation. Here’s what’s going down up in Goshen. 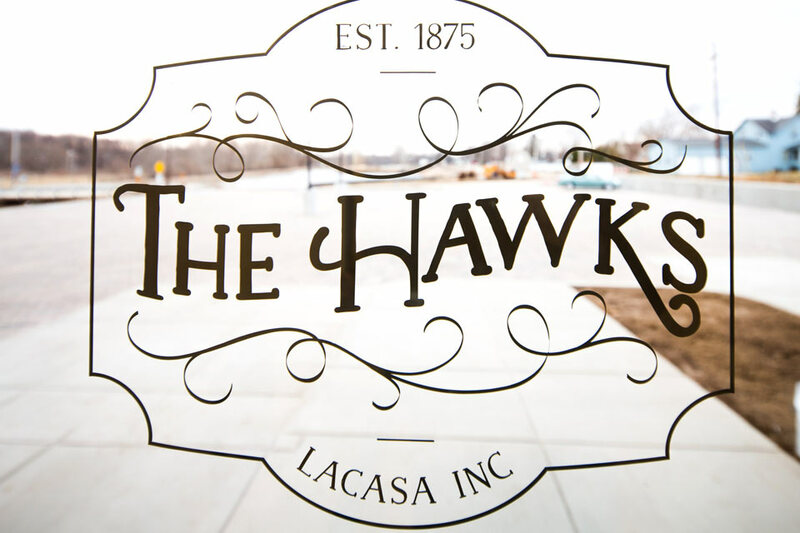 In early 2015, a centuries-old former furniture factory along the Mill Race Canal was converted into a residential community called “The Hawks.” The Hawks, owned and operated by the local nonprofit housing agency LaCasa, Inc., was specifically designed for artists and entrepreneurs as a “live-work community.” Or in other words, apartments that double as studio space. Home to graphic designers, dance instructors, musicians, chefs, painters, actors, potters, photographers, and –– deep breath! 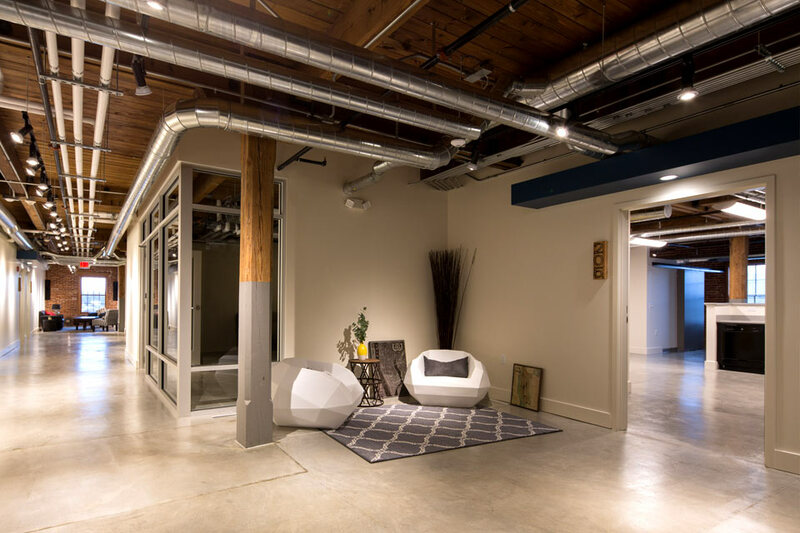 –– business owners, each of The Hawks’ 35 loft apartments contain both a living area and workspace. 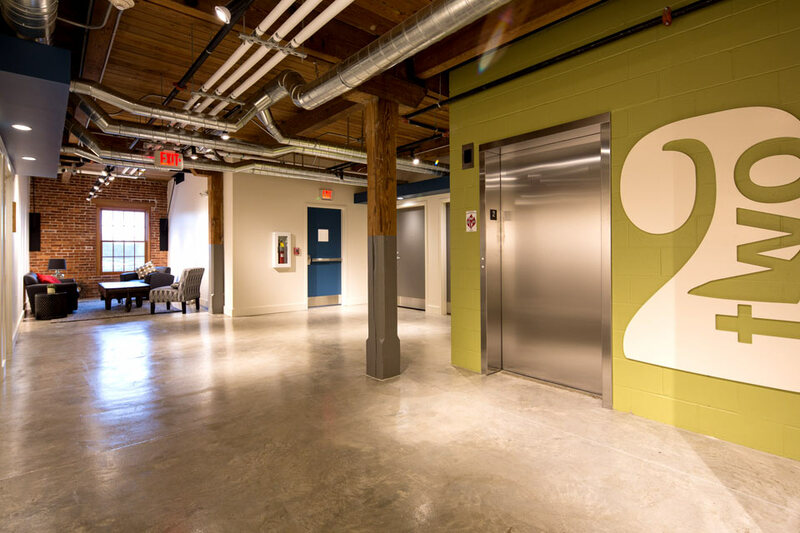 Residents can also use the hallways as gallery space to display and sell their artwork. The concept of “cohousing” is that of intentional community. Here’s how it works: A group of private households center around a shared common space where neighbors gather regularly for meals and events; community members share certain chores like raking leaves, babysitting, or shoveling the sidewalks; and they share resources like laundry machines and lawnmowers. Cohousing neighborhoods have been popular in Europe for years, but have only recently begun popping up stateside. 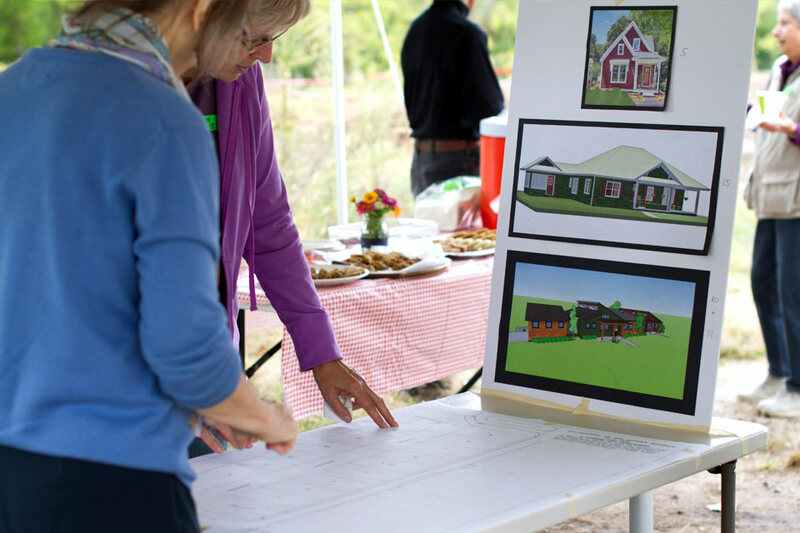 Within the year, though, Goshen will get its own cohousing neighborhood –– one of only three in the state. Located on the north end of the Millrace Trail, the Millrace Cohousing Neighborhood is currently under construction. 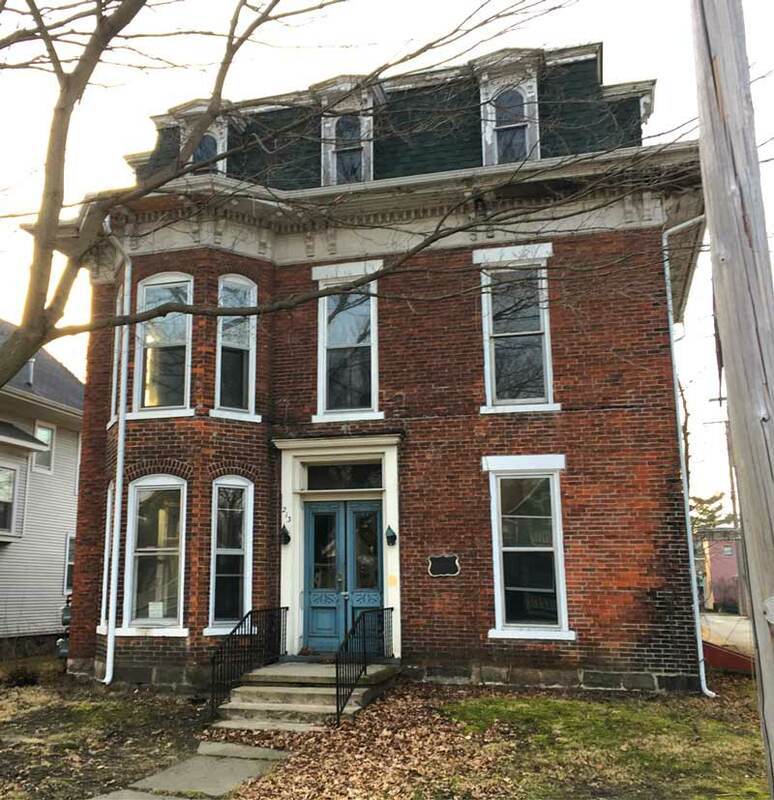 The project was spearheaded by Goshen resident Mary Ellen Meyer who, in her early 80s, partnered with local developer Richard Miller to bring her plans to life. Though the planning and negotiating process took nearly five years, the 14-unit complex began construction in the fall of 2016. As of September 2016, 10 of the 14 units had already been claimed. 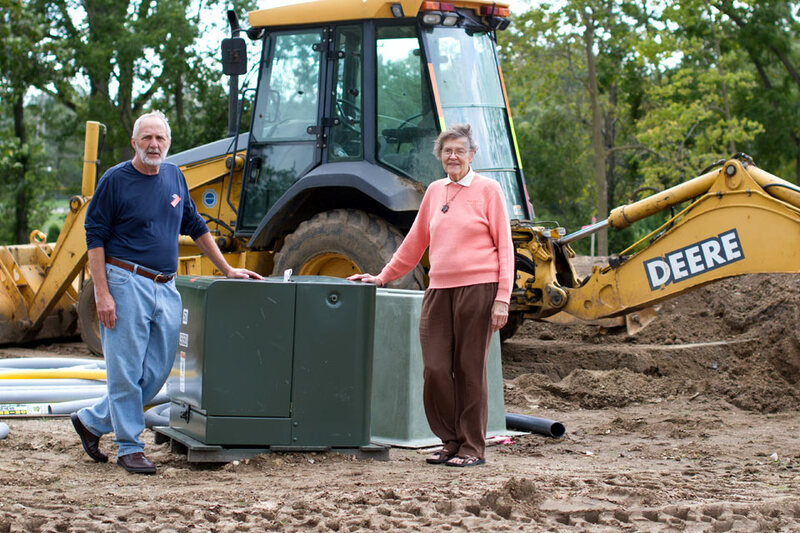 That month, Richard, Mary Ellen and her husband Al, and the other co-housers gathered for a groundbreaking ceremony complete with tea, cookies, and plenty of camaraderie. Soon, they’ll be gathering again on a regular basis. Only then, in the comfort of their own shared common house. 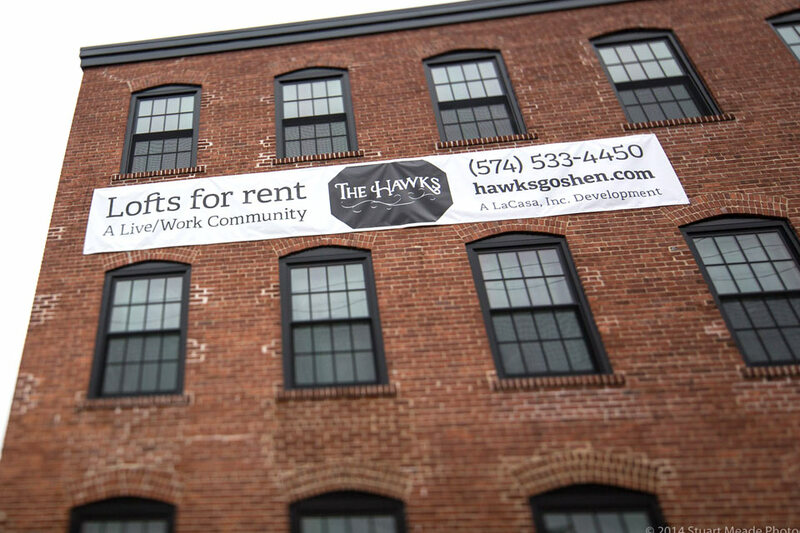 LaCasa Inc. (yep –– the same nonprofit that funded The Hawks) recently acquired five apartment buildings with 21 units on the northeast side of Goshen along East Lincoln Avenue. 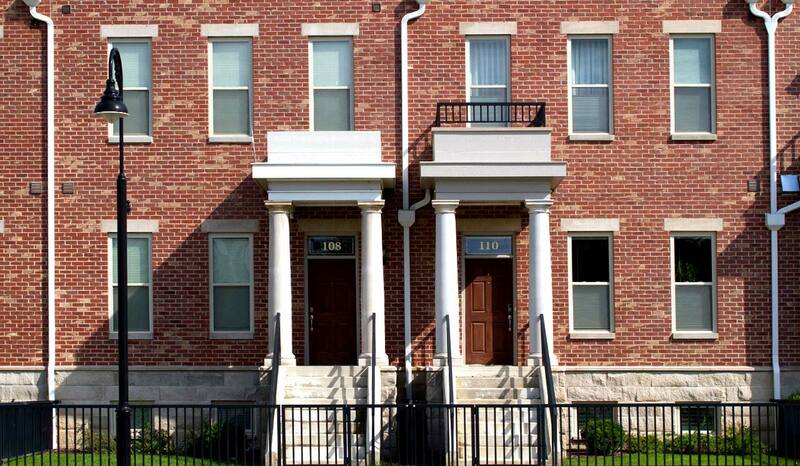 LaCasa plans to completely rehab the properties into high quality affordable and market-rate dwellings. 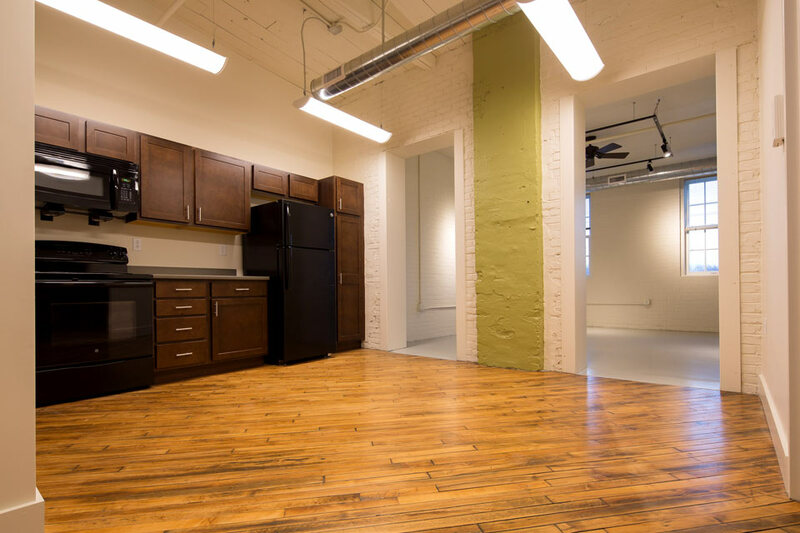 With one to two bedrooms a unit, the apartments are perfect for singles or couples –– and are only a minute’s walk from downtown Goshen. The apartments will provide high-quality yet affordable urban housing to singles and couples looking to live closer to downtown. Sound like a good deal to you? Keep your eyes peeled for “For Rent” signs. The first apartment is set to be available for rent as early as April, with other units going on the market within the year. After years of dilapidation, the site of the old Goshen Inn is about to be transformed. Brazil, Indiana-based developer The Emmert Group is building upscale apartments called Fidler Cove. To Emmert Group CEO Brad Emmert, building a high-quality product is of primary concern. Emmert also added that Goshen’s thriving downtown compelled him to jump on the development prospect. Fidler Cove will feature 17 two-story buildings with approximately 160 market-rate apartments, each with one to three bedrooms. 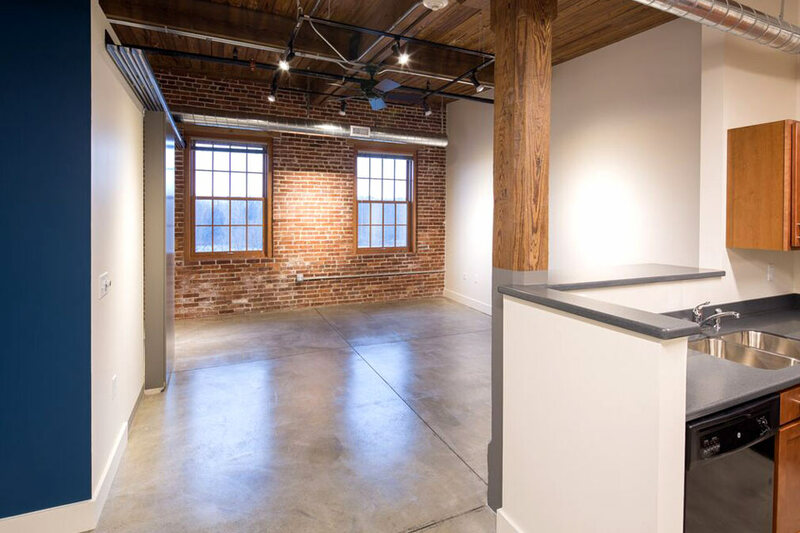 Interiors will have nine-foot ceilings, granite counter tops, and tiled bathroom floors. Residents will have private garages and access to a community fitness room, meeting rooms, an outdoor gathering area with a grill and fireplace, and a dog park. Think this living situation sounds pretty ideal? You won’t have to wait long. Tenants could start leasing apartments as early as winter of 2017. Goshen is soon to get its first Marriott-affiliated hotel. 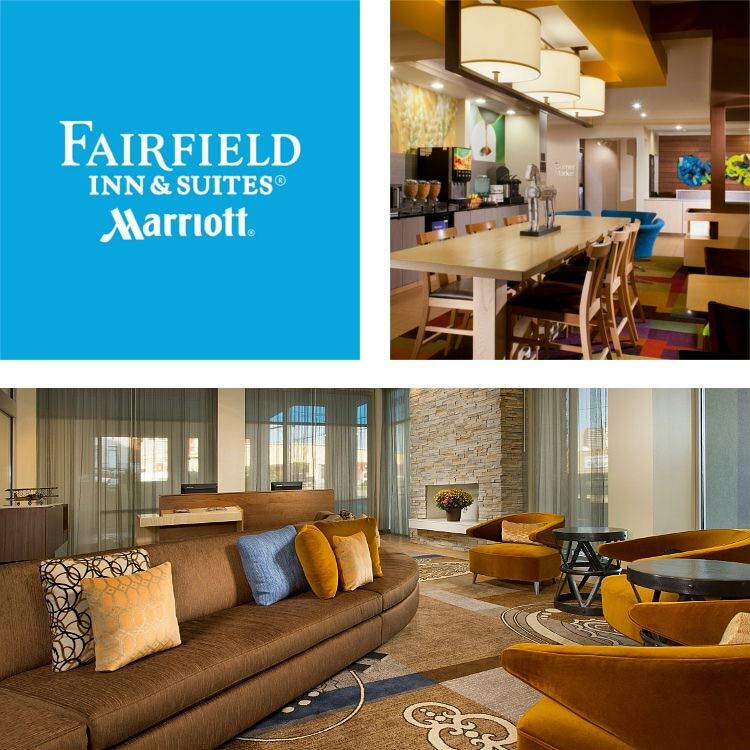 Schrock Commercial was recently approved by the city to build a 4-story Fairfield Marriott Hotel off of U.S. Highway 33, just south of College Avenue. The state-of-the-art facility will have 90 rooms, an outdoor and indoor pools, meeting room, fitness center, and business center. With construction breaking ground in mid-March of this year, the hotel is set to open by the end of the year if not before.